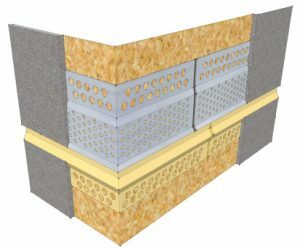 Trueline’s Surface Mounted Compression Joint is ideally suited for timber framed buildings where there are large amount of horizontal movement in the building. Both the top and base sections are manufactured from aluminium and adjacent sections are joined together with a joint clip, thus allowing for thermal expansion within the bead. 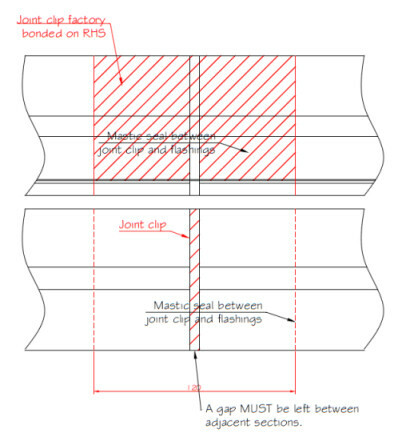 Trueline’s surface mounted compression joint is supplied with fully welded corners so at no point can water penetrate the system at junctions. The upper section is supplied mill finish but the lower section can be powder coat to a colour of your choice. This system allows for a number of render thicknesses and this must be specified when ordering. When ordering the top and base section are supplied together.